WHSmith Edinburgh Airport were awarded with the WHSmith Chairman’s award last year and also deliveried on its company profit target so you’ll be joining a team whom pride themselves on delivering results. 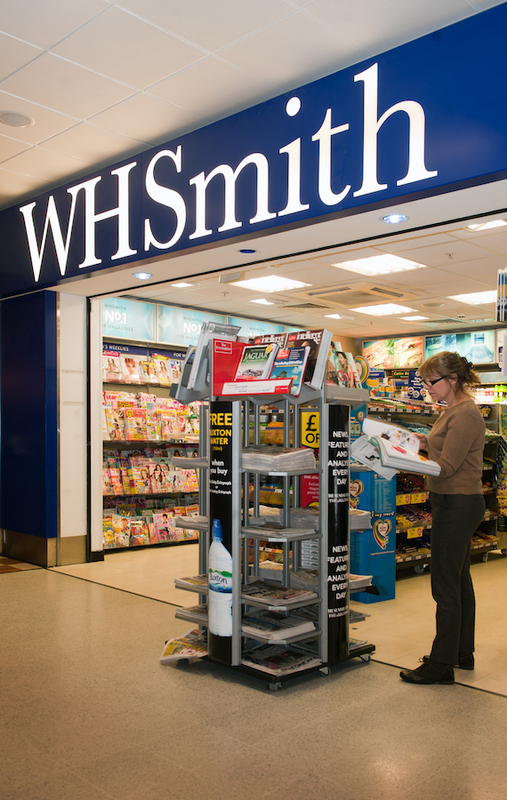 We will support you, your journey with us and help build your career within WHSmith. We have eight shops and we’re exceptionally busy, so our customers require a speedy and efficient service with a warm and welcoming smile. We are looking to recruit very HIGH on energy industrious people whom posses the ability to work under their own initiative to achieve targets and drive the business forward while maintaining exceptional standards. Positions are offered on a temporary three month probationary period and if successful you will then be offered a permanent contract. Working schedules are between the hours of 4am to 10pm. Work Type: Part Time 10hrs per week. Monday to Friday between the hours of 5pm-10pm. Salary £4.84 to £7.83 p/h dependent on age. *Discount Card: Received after successfully completing 3month probationary period. *You will be required to complete a criminal record check via a basic disclosure and provide a full 5 Year written reference history due to airport security policy. *Before applying please check your means of Transport to and from work. *If you are fluent in English, Mandarin, Spanish, Italian, French or German then we would love to hear from you!